I’ve been pleased this year to see so many encouraging responses to my new book, Christianity at the Crossroads: How the Second Century Shaped the Future of the Church (IVP Academic, 2018). Who would’ve thought people would be interested in the second century? 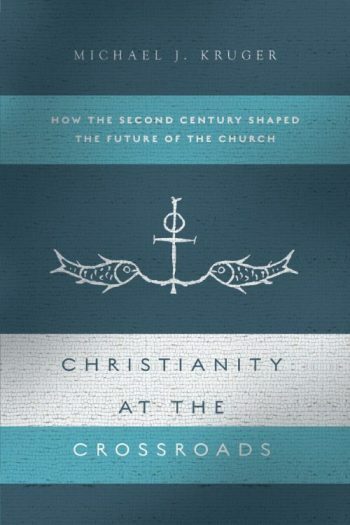 For those who haven’t picked up a copy yet, this book highlights what is really a forgotten century of sorts in the history of Christianity. Much attention is paid to the first century (for obvious reasons! ), and by the time the third and fourth centuries roll around, the church is more established (which means more sources for scholars to study). In between sits the “Cinderella Century” (as Larry Hurtado calls it), all too easily overlooked. But, in this critical time period the church faced an enormous number of challenges and transitions–ones that would shape its identity for years to come. These transitions includes issues of demographics (what kind of people became Christians? ), politics (how’d Christians interact with the Roman government and how were they perceived? ), ecclesiology (who ran the churches and how’d they relate to each other? ), theology (were Christians unified in their beliefs and how did they handle “heresy”? ), and Scripture (when did Christians collect their own books as canon?). Interview with Matthew Barrett at Credo Magazine: see here. 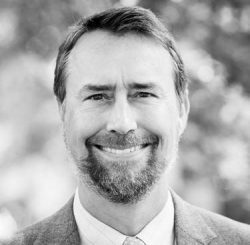 Interview with Coleman Ford and Shawn Wilhite for the Center of Ancient Christian Studies: see here. Interview with the Alliance of Confessing Evangelicals: see here. Interview with Jen Wilkin, Kyle Worley, and J.T. English at Village Church podcast: see here. Interview with Camden Bucey and Jared Oliphint at the Reformed Forum: see here. Reviewed by David Evans for Themelios: see here. Reviewed by Mark Edwards at the Church Times: see here. Reviewed by Thomas McGlothlin for the American Academy of Religion: see here. Reviewed by Carl Trueman for Mortification of Spin: see here. Reviewed by Nathan Kollar for Catholic Book Reviews: see here. Reviewed by Ben Witherington at Bible and Culture: see here. Thanks, Dan! I’ve always appreciated your support and encouragement over the years. I look forward to reading this book. The resurgence of interest in Patristics among Evangelicals is encouraging. More than just church history, the actual words, acts, and examples of these pacesetters and faithful Christians should be woven into our self-awareness. I am blessed to live in Boston and each year attend the Papas Patristics Institute at Holy Cross Seminary as an observer. More and more Evangelicals are making their appearance to deliver papers. Your desire to “fill in” the second century will be a much needed aide in grasping the continuity of tradition of a too usual overlook of a critical episode. By the way, I hope that in your teaching role there is a bend toward Patristics in distinction from Church History. It is the reading and knowing of the Fathers that there is the greater benefit. I went to Westminster Seminary (graduated ’79), and I think we spent one part of one class on the early church. I was explicitly taught that the Gospel was lost by the 200s. I knew this had to be wrong, but there was insufficient time to find my own way. My supposition is that the goal was to get on to the framing of the Gospel in the Protestant Reformation and that all that was happening before that moment was distraction, with respect not only to the Gospel but also to the Eucharist, liturgy, and church organization. It was a lost opportunity to have a richer church history. IVP’s project with the Ancient Christian Commentary series was a sea change. Still, I am not aware of a seriously rich strain of Patristic studies among Evangelicals. Wheaton’s program seems mostly to be a church history approach rather than a deep reading of the Fathers. The text in your content sem to be running off the screen in Chrome. I’m not sure if thjis is a format issue or something to do with browser compatibility but I figured I’d post tto let you know.